The plan for this trip just happened at the spur of the moment. We were with our family friends and they were discussing their plans to visit Saptashrungi on next day. As the next two days were holiday, so we also decided to accompany them. Next day morning we left from Mumbai and reached Nashik by afternoon. 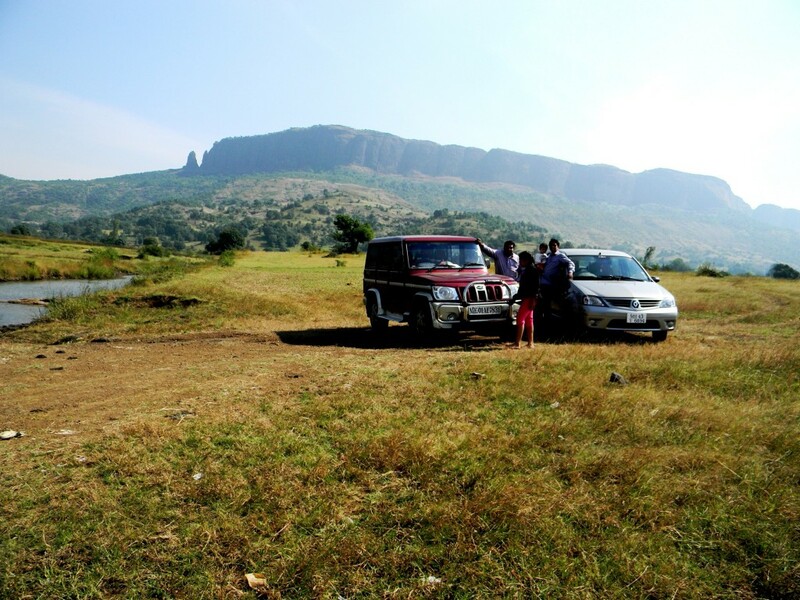 We booked a hotel on the outskirts of Nashik and took a small rest. 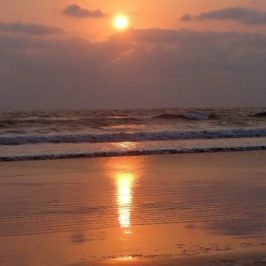 We left for Saptashrungi in the evening and reached our destination in one and half hour. 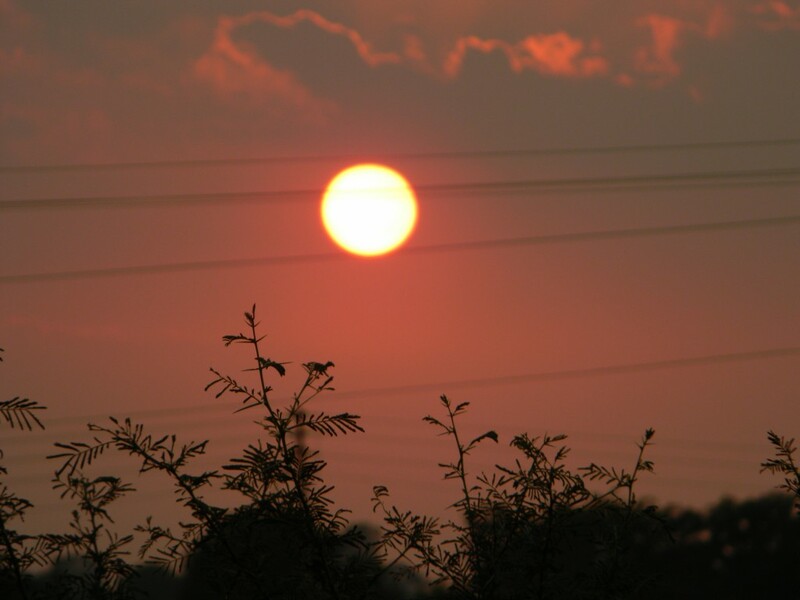 On our way we witnessed a spectacular sunset through Sahyadri hills. The atmosphere near the temple was very energetic and divine. We were lucky enough to be present in the temple at the time of evening prayer. After offering our prayers we left from there and reached our hotel. 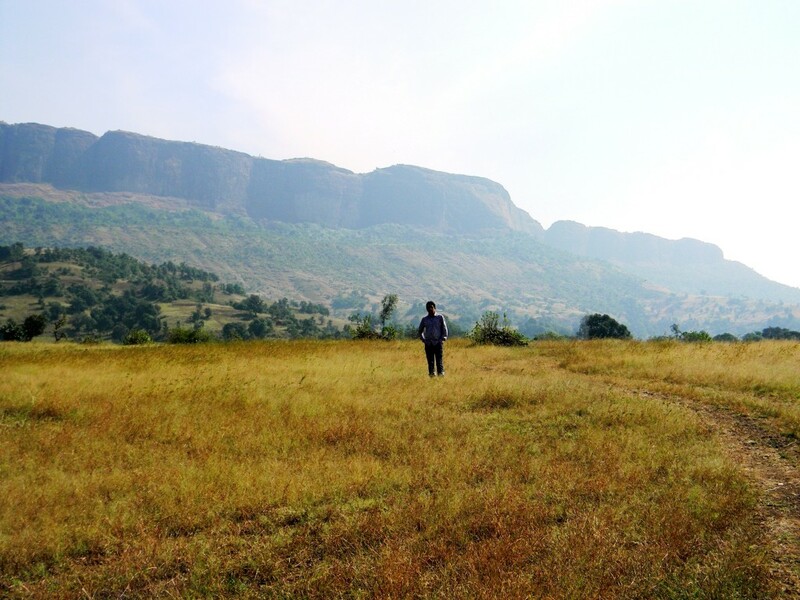 We were in Nashik and we had time in our hand so we decided to visit Trimbakeshwar as well on the next day. 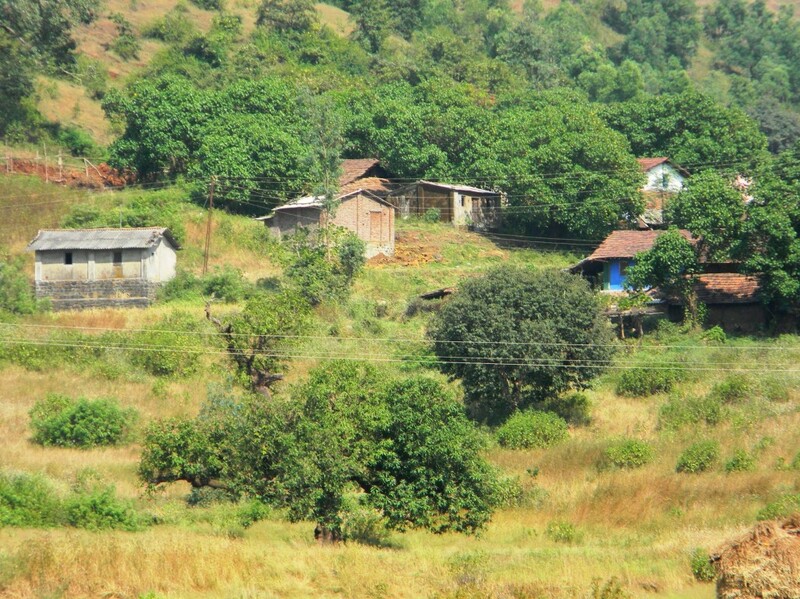 We checked out early in the morning and were headed towards Trimbakeshwar just 28 Km away. We reached the place in less than an hour and offered our prayers at the temple. While returning from Trimbakeshwar we saw a signboard showing the way towards Ghoti. 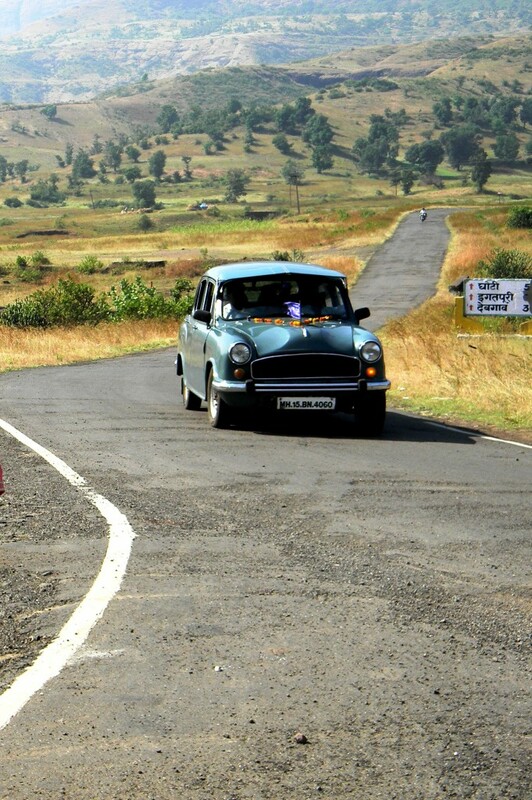 We decided to take the route as Ghoti is the merger point in the Nashik highway. Also, we do not have to again reach Nashik first and then take the highway which anyways will be reached by this route. We took the right turn and were on our way back through the diverted and unknown route. 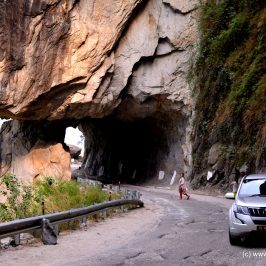 After driving for few kilometers only, we have entered an altogether a different place. 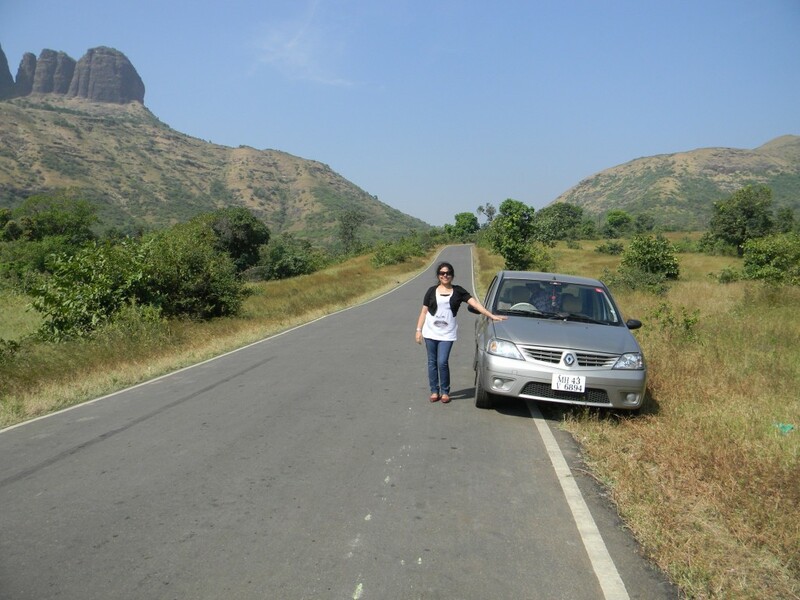 The empty roads through terrains and hills on both the sides have added flavours to our journey. We halted near a small natural water resource and spent some time in the lap of nature. This place was a perfect portrait with a clean, clear, and serene environment. Although for some distance the roads were rough but it was not a hindrance in front of the natural beauty that we were embraced with. On our way we drove through the terrains, villages, and fields. The most amazing part while passing though the fields was the tall grass on both sides of the roads. Also, the wave created by wind speed on those grasses was an awesome sight. The surprise does not end here. 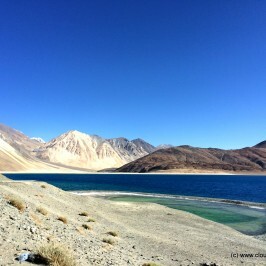 After driving some distance we were near a lake and after seeing the sight we were all bemused by beauty of the place. 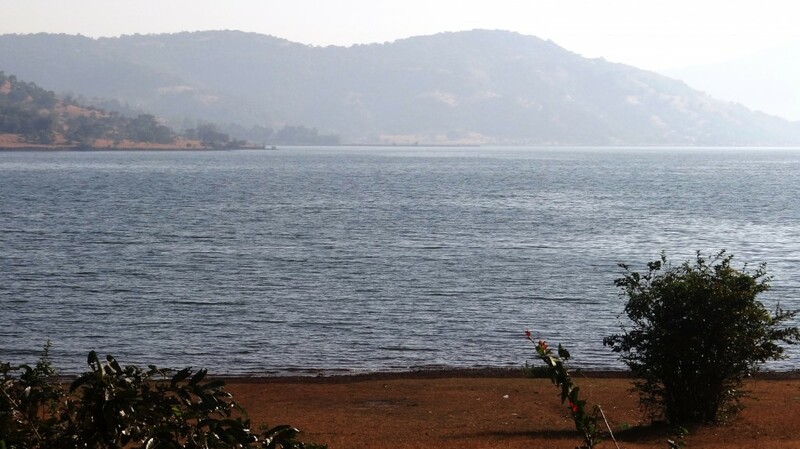 The road was running parallel to the lake for quite a long distance and the lake was the Vaitarna Lake (Modaksagar lake). Finally we merged into the main highway at Ghoti. This journey will always have a special place in our heart. 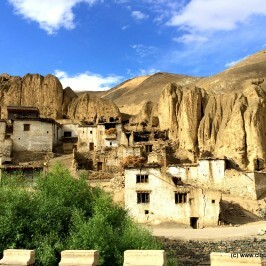 We started the tour on a religious note by visiting two very old places of importance and the diversion in our route had given a whole new dimension to our overall experience. 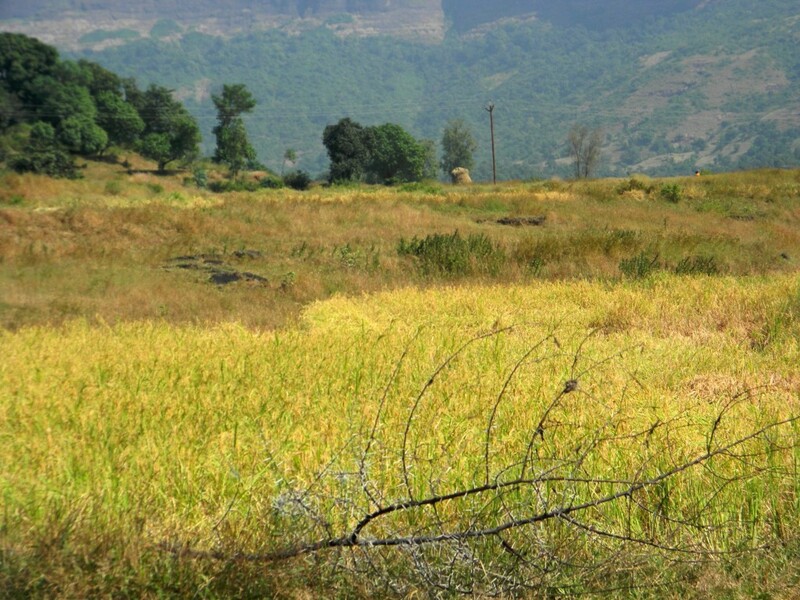 Saptashrungi is a site of Hindu pilgrimage situated 60 Kms from Nashik. According to Hindu traditions, the goddess Saptashrungi Nivasini dwells within the seven mountain peaks. (Sapta means seven and shrung means peaks.) 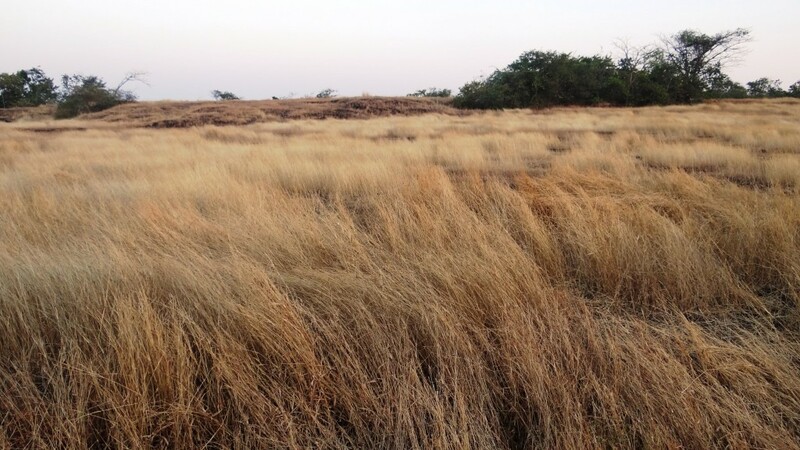 It is located in Nanduri, Kalwan taluka, a small village near Nashik. The temple is also popularly known as one of the “three and half Shakti Peethas” of Maharashtra. The temple is also one among the 51 Shakti Peethas located on the Indian subcontinent. Trimbakeshwar is a religious center dedicated to lord Shiva and is one of the twelve Jyotirlingas. The extraordinary feature of the Jyotirlinga located here is its three faces embodying Lord Brahma, Lord Vishnu and Lord Rudra. It is an ancient Hindu temple in the town of Trimbak 28 km from the city of Nashik. 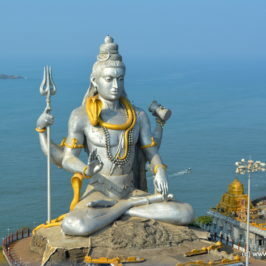 It is located at the source of the Godavari River, the longest river in peninsular India. 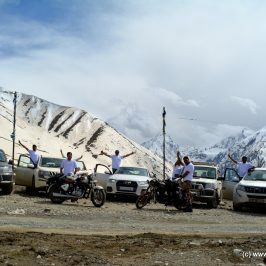 Cloud9miles is a collection of travelogues, videos, photographs, articles, itineraries, adventure, road trips, and off beat experiences, complemented with fashion & lifestyle.